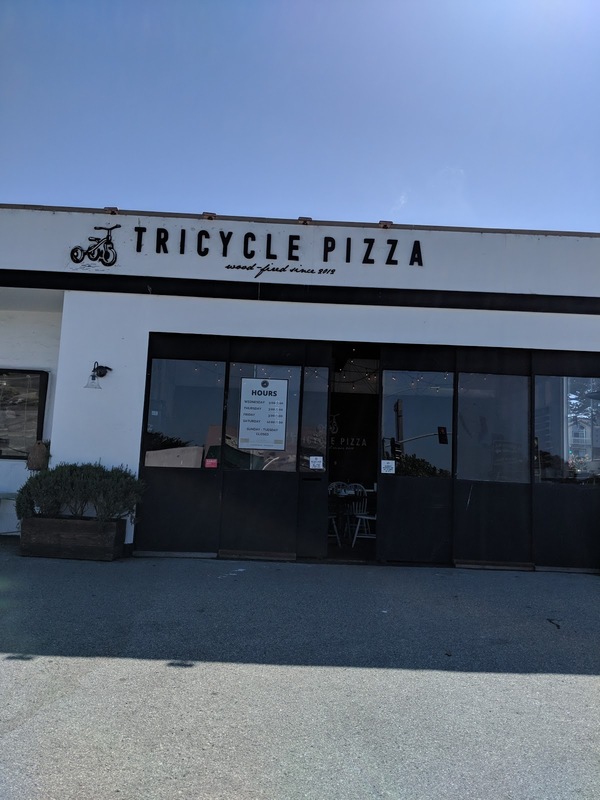 Tricycle Pizza is a new to us pizza place. Pizza is one food that everyone can agree on. While we were at the Monterey Bay Aquarium for the day, we wanted to find a new place to eat. 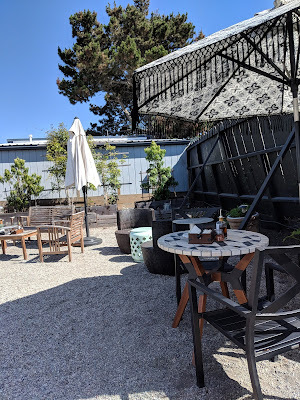 While we enjoyed the cafe inside, finding new places to try out is always an adventure. 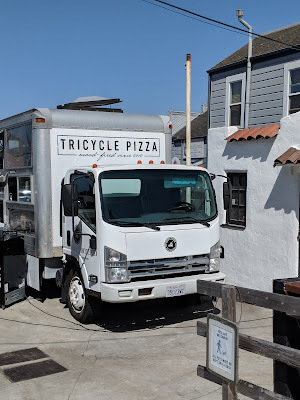 Tricycle Pizza is just a few minutes walk from the aquarium. 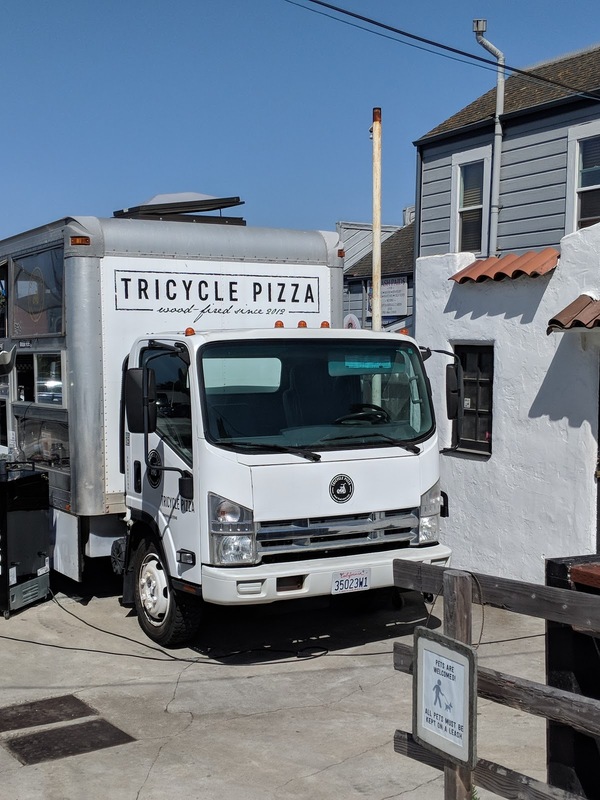 Tricycle Pizza opened as a food truck back in 2012 by Danica Alvarado, pizza being one of her favorite dishes. 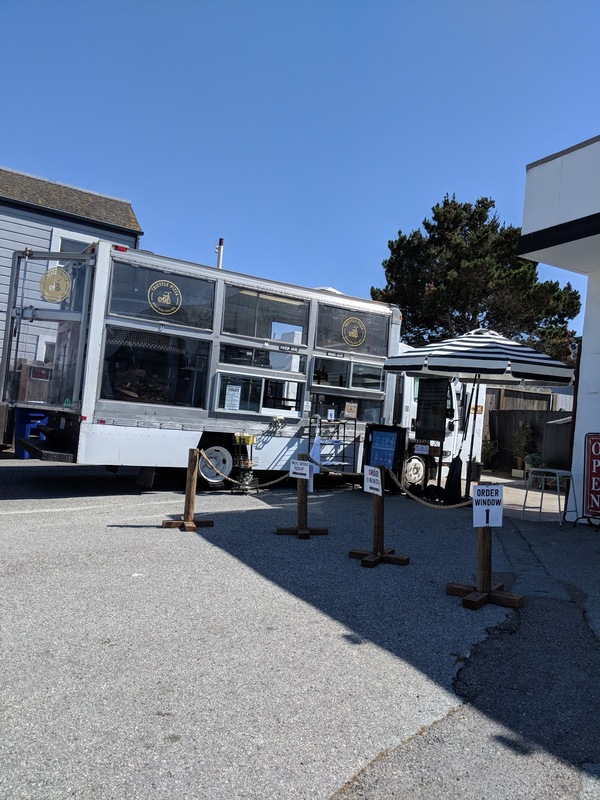 After having found success at local farmer's market, she decided to combine her mobile kitchen on wheels with a permanent dining spot. 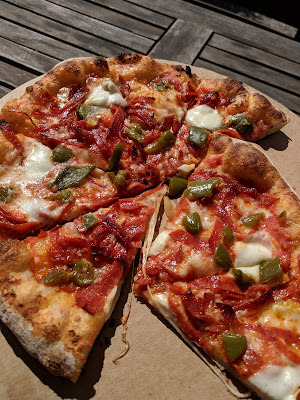 Aside from the pizza being tasty, the location itself caters not just to adults but kids alike. 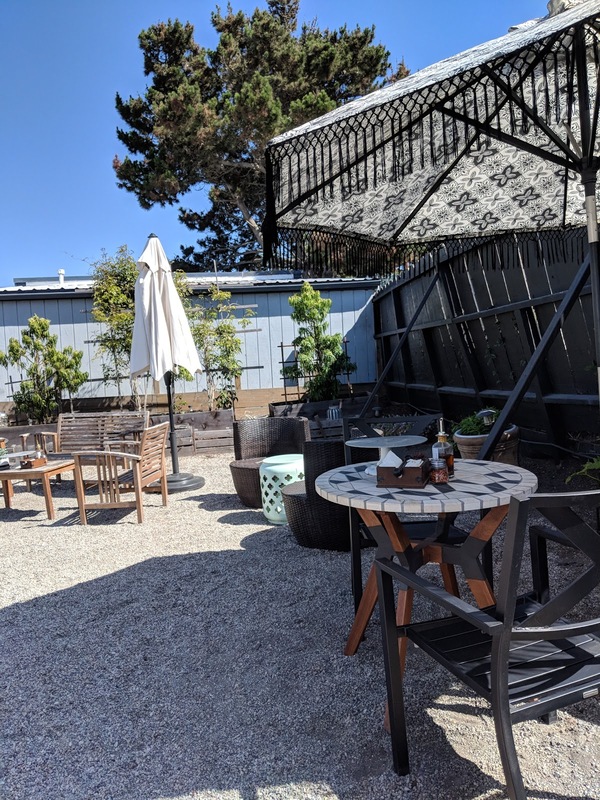 There is a ping pong table for adults and a play area, complete with a playhouse and some ride-on toys. 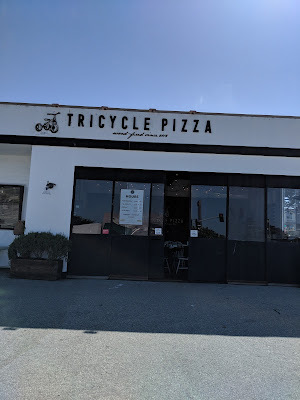 I would definitely recommend this place for anyone wanting some pizza in Monterey and having some 'free time' away from the kids, since they are able to play in the enclosed courtyard.